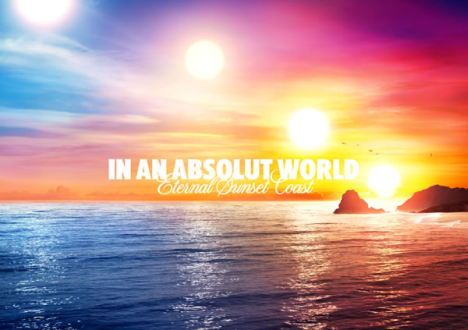 Pernod Ricard Travel Retail is launching a global marketing campaign this month entitled In an Absolut World No Destination Is Impossible to “celebrate the global traveller in space and mind”. According to the drinks company, the campaign is aimed at the contemporary global business and leisure traveller who values the trip as a means of expanding perspectives geographically, mentally and intellectually. The campaign, which is being launched initially at Singapore Changi, London Heathrow and Frankfurt airports, is the first to use In an Absolut World as a marketing platform. With reference to the aforementioned travel guide gift, the campaign is being run in collaboration with Monocle, a global affairs magazine created by Editor in Chief, Tyler Brûlé. This is a special In An ABSOLUT World travel guide with 12 selected features identifying the magazine’s ideal destination. “As a special bonus to our ultimate travel guide we have compiled our favourite features from our most loved destinations and asked Satoshi Hashimoto - one of our favourite illustrators - to render the elements we’d like to see punctuate a perfect destination IN AN ABSOLUT WORLD,” said Editor in Chief Tyler Brûlé in his foreword.